How to setup a Waves Wallet to participate in the MPCX Platform Pre ICO which take place from 7th May to 17th June 2018. To make sure you can participate in the MPCX’s Pre ICO, we have created a quick manual. To participate in the XDMC Tokens pre-sale, you have to set up a Waves wallet and fund it with ETH, BTC, LTC, Zcash or Waves. You will be able to obtain tokens directly from the issuer or buy them on the Waves DEX. Fill up the form and follow the instructions received via this email iurii.riabykin@mpcx.co. Please check the email spelling carefully. Learn more: How to buy XDMC Tokens directly from the MPCX Platform? Learn more: How to buy XDMC on the Waves DEX or using Waves wallet? If you don’t have a Waves wallet, please create one using the following instructions: How to set up and fund a Waves wallet? 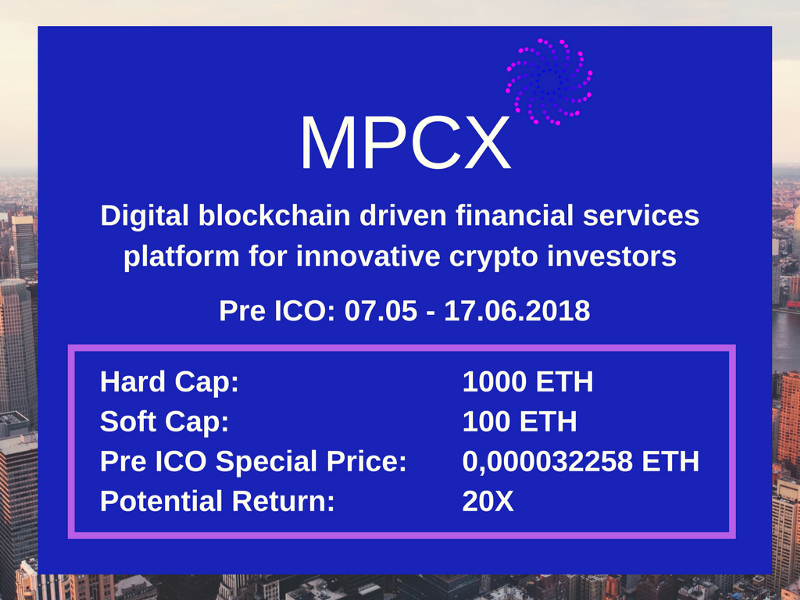 To learn more about MPCX and XDMC Token readers can visit our website https://mpcx.co, read the MPCX’s Whitepaper or simply join us on our social media channels: Facebook, Twitter, Medium, Instagram, YouTube, Telegram and LinkedIn.